Constantine, his veiled head right. Reverse - No legend, CONS in Exergue. of God extending out of the sky to receive him. Minted posthumously, between 337 and 340 A.D. in Constantinople. 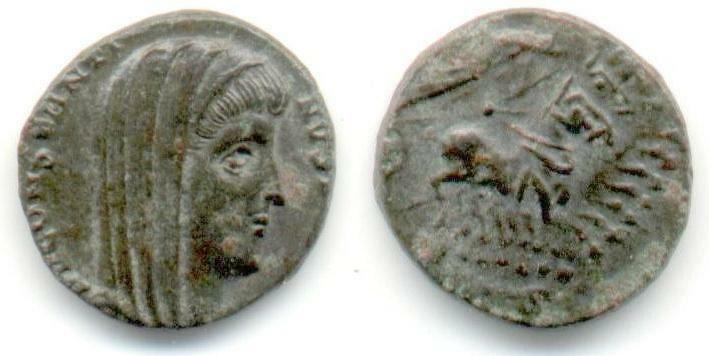 Carson, Hill, & Kent, "Late Roman Bronze Coinage" (LRBC), Part I, p25, nr 1041.